Once you have cooked the millet, this Millet Pecan Pudding is very simple to make. It is for sure tasty and so healthy without sugar so you can have it for breakfast. And it has no milk which makes it a great vegan dessert. 1. 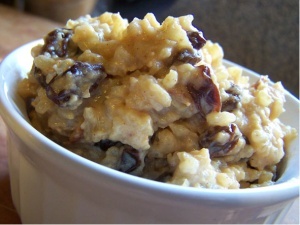 In a pot, add milk and raisins. 2. Simmer on low heat for 15 minutes. 3. Add all the remaining ingredients except for pecans. 5. Mix in pecans and serve. Would you like more healthy desserts? Luxurious Brown Rice Pudding – This is a creamy vegan brown rice pudding without added sugar and of course very delicious. Deluxe Quinoa Pudding (vegan & gluten free) – an extra special delicious quinoa pudding made from my favorite grain, without added sugar or milk. Delicious Vegan Banana Pudding – another vegan dessert that is very quick, easy to make dessert and without any unhealthy added sugar.